The FCT Health Management Board said it shut down 66 medical facilities that fell short of professional standards in addition to not having operating licences last year. This disclosure was made by the Acting Secretary of FCT Health and Human Services Secretariat (HHSS), Mrs. Achu Odey at a media briefing on the activities of the HHSS for last year. Mrs. Odey said the facilities were sanctioned by Private Health Practice Committee, which after an assessment sealed them up for not complying with best medical practice standards. While offering more explanation on the development, the FCT Director Medical and Diagnostics, Dr. Uche Egheyi, said 39 of the affected facilities were medical laboratories discovered to be operating without approved licences. According to Egheyi, the Private Health Practice Committee, following a routine and intensive inspection of some laboratories in the council areas of the federal capital territory, placed locks on the facilities for illegal operation. 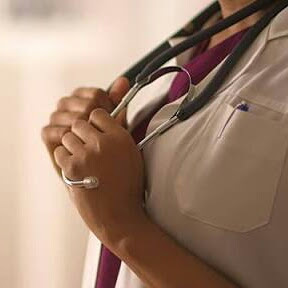 She said the committee would adopt a strategy where all certificates of the various medical laboratory practitioners would be referred to the various regulators of health professionals and medical laboratories of Nigeria to verify if the practitioners were genuine. Egheyi advised FCT residents to look for license of practise, whenever they go to any private medical facilities, including laboratories, adding that any centre where the licence was not displayed in the reception portend that the centre was not registered and permitted to conduct medical services. Meanwhile the HHSS has confirmed receiving the FCT own share of $1.5 million for the Save 1,000,000 lives project. Dr. Mohammed Kawu of Health Planning, Research and Statistics said the naira value of the fund was received last week and had started to implement the programme that also focused on the wellbeing of mother and child. Kawu said the fund was being managed by a technical committee headed by him to be disbursed to all the units captured under the programme.